Here comes the SMOK Mag Grip 100W TC Box MOD! 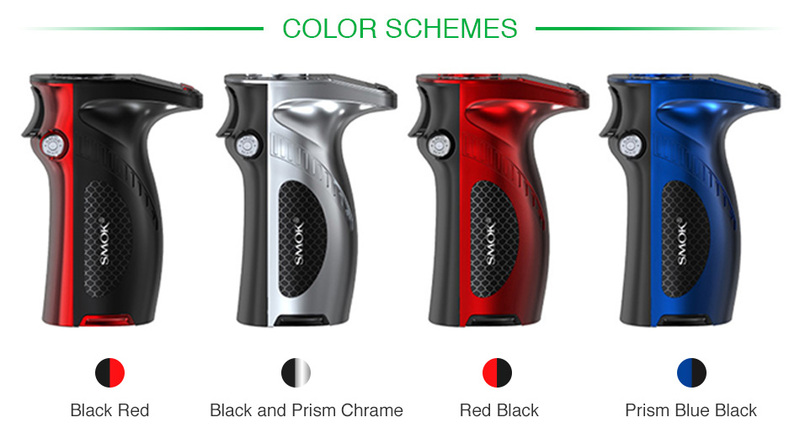 As a new member of MAG family, the SMOK Mag Grip MOD inherits the gun-handle appearance. Highly compatible with single 21700/20700/18650 cell, the Mag Grip MOD can provide a maximum output of 100W/85W. Together with an OLED 0.66 inch screen and the small exquisite trigger-like fire key, you can easily operate the Mag Grip MOD. No hesitation, just get the new SMOK Mag Grip MOD to your home.